Greg Varner, Democratic candidate for SD-13, is building his campaign around important rural and small town issues: supporting small businesses, broadband access, the brain drain as young people leave, and the importance of small grocery stores to small-town economies. I think we underappreciate the importance of the “Pigs”, the Perrylands, and the WMs to our local economies and secure food supply. Now, the last time I heard an Alabama candidate for ANY office mention Piggly Wriggly, it was when Bradley Byrne stood in the produce aisle of the New Hope Piggly Wriggly and declared his belief the “every word in the Bible” is true. 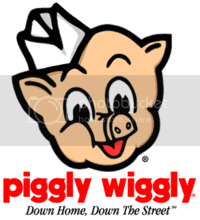 Piggly Wiggly stores are found predominantly in medium- to smaller-sized cities and towns and remain a fixture in many rural communities. Rural America’s grocery stores are facing a crisis. These businesses are closing at an alarming rate. Almost daily another small-town, independently-owned store shuts its doors and closes up shop. In Iowa, for example, 43% of grocery stores in towns with populations less than 1,000 have closed, while in Kansas, nearly one in five rural grocery stores have gone out of business since 2006. These disappearing businesses are creating a crisis as rural grocery stores represent a critical piece of the infrastructure that sustains rural America. Rural grocery stores are part of the economic engine that sustains rural communities. They are a significant source of local taxes, powering the creation and maintenance of civic services and amenities. They provide essential, stable jobs – butchers, cashiers, managers, and stockers – at a time when we are desperate for employment opportunities. When these stores close, it affects more than just the local economy. These small communities become “food deserts” like the Birmingham neighborhoods that GradyW blogged about last week here at LIA. We tend to think of that term in a context of inner city neighborhoods, but many rural families have the same problems with grocery store access. Rural grocery stores are also a vital source for nutrition and health, providing a supply of fresh fruits, vegetables, dairy and protein. Where no grocery store exists, rural citizens are living in a “food desert.” Citizens in these food-deprived areas struggle to simply find healthy and nutritious food for their families and themselves. From initial investigations out of our office at the Center for Engagement and Community Development at Kansas State University, it has become clear that many parts of rural America are facing a crisis of access to healthy foods. Research indicates that millions of rural Americans live in food deserts. And this is why my family supports our small local businesses as much as possible. They support the community structure and help bind the community together. When you spend money in your community, it stays there. Grocers feel they are asked to support a variety of community projects – the local ball team, church youth groups, the 4-H club. They are frustrated when they notice adult sponsors and parents of these community groups traveling to distant big box stores to do their grocery shopping. This is an issue for all local businesses, so let me tell you a short story…. A couple of years ago a small pharmacy opened up in our small town of New Market. Fortunately, our family doesn't need a lot of prescription drugs. REALLY fortunate since our crappy, expensive private health insurance plan didn't cover any costs until we'd spent $5k out of pocket, but that's another story. So when I needed to get a prescription filled for our daughter, I checked pricing for the medicine: WalMart $127, Kroger $134, and so on for the big chains. Their prices were all within a couple of dollars. At our local New Market drug store? $84. Guess they weren't plugged into the big chain pricing grapevine and didn't know they could be getting a LOT more. So don't automatically assume that “everything is cheaper” at a big box chain or that the Pig doesn't carry tofu, bok choy, or whatever your favorite specialty item is. They might be glad to order it for you. You can shop closer to home and support your local business community at the same time! What Varner and the Rural Grocery article make mention of keeps me concerned of what might happen in Monroe County–I fear Walmart becoming the default grocery store for most. Monroeville already lost its Food World, probably victim to Br…uno's own corporate struggles with Walmart before Monroeville's local supercenter could really hurt it. The town's Piggly Wiggly and Winn-Dixie are hanging in there, perhaps for no other reason as still being closer toward city residents. And its not just Walmart–it's Dollar General on the march also. DG put a second M'ville store in a Red & White grocer's territory. The towns of Excel and Frisco City are less than five miles from each other, and despite Frisco having its own DG store–Excel's council just gave the ok for DG to build a separate location there. Both towns have locally co-owned IGA stores who are faithful community sponsors to the high schools and youth football/baseball teams. But since I've lived here we've had two FoodLands and one FoodWorld and one Southern Family Market close and a Super Wal-Mart open. Now a Foodland Super something has opened in the SFM space, but things don't look so good. Since I boycott Wally-World, I'll be up the proverbial creek if the Pig can't stay open! I may live in Montgomery, where groceries are readily available, but I routinely go to Millbrook (in Elmore County) to shop at the Associated Grocer. Not just because of the price (which is right), but because a lot of the stuff is local and the profits go to locally.